I was going to post these pictures before I sent the quilt, so that is why the leaf is there covering Kim’s name, but she already has the quilt so it’s a moot point now. And here is the one I received from Rachel….I love how the hexagons are asymmetrical and not completely finished–Rustic but Contemporary! And I totally love this backing fabric!! I must find it somewhere…if you know where I can get some let me know!! That’s it for Doll Quilt Swap pictures…probably for this year. 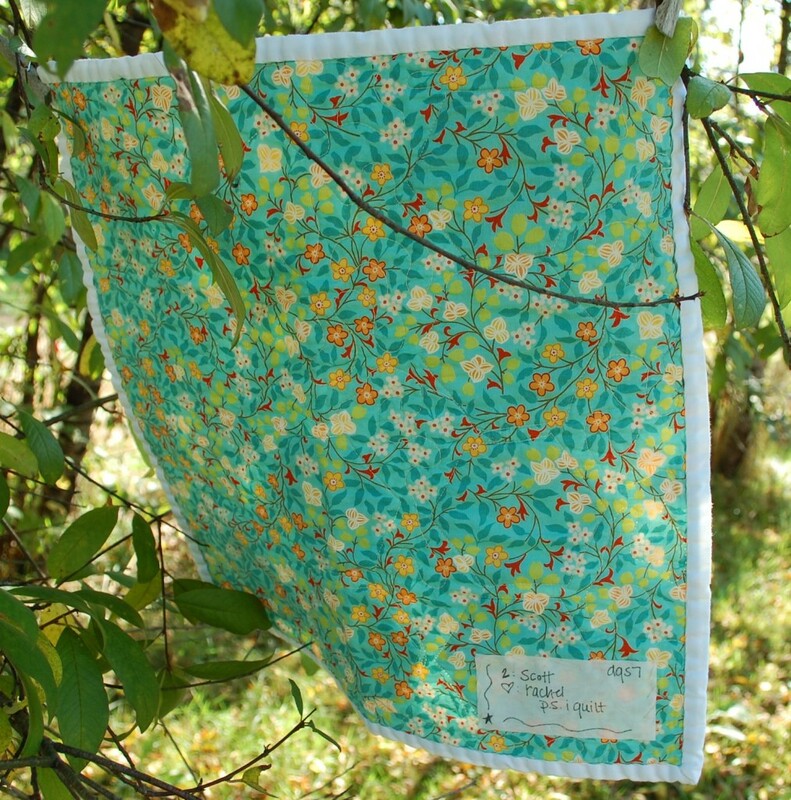 I am wrapping up two more quilt for Free Spirit Fabrics right now, and those pictures will be posted soon. Anna Maria Horner is coming out with a new line in flannel and Douglas Day already has a second line to follow up his Be a Man line that debuted this spring! 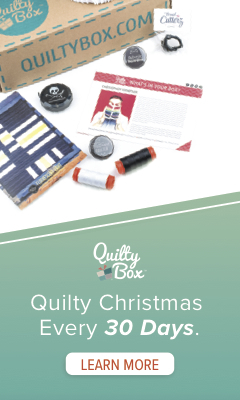 I am doing both of those quilts for the Free Spirit Booth for Quilt Market in Houston…coming up fast! The backing fabric is from a line called Nouveau. I picked some up from Sew, Mama, Sew, but I don’t see it on their website anymore. The quilting on your quilt is immaculate. Wonderful work. I love the quilt you sent to Kim, and the fish fabric is wonderful!! Lucky girl! DQS7 was fun and it looks like you did well (giving and receiving)! That fabric is “MODA SENTIMENTAL STUDIO NOUVEAU GARDEN TEAL”. That line is one of my faves. Hancocks of Paducah has it for $4.49/half yard. Your quilt is absolutely stunning. I love the way the fabrics go together and your backing is really beautiful as well! Very fun Owl quilt, loved the binding and the back! so you got rachel’s quilt… lucky duck!! hows it going??????????? I’m coming out from under……insane days behind me…and you my friend???? It’s a day off here so I’m in heaven..